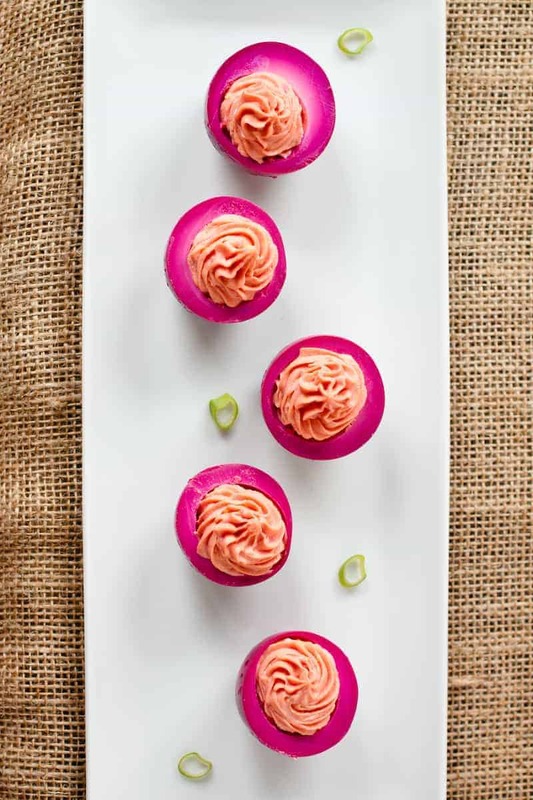 Beet-Pickled Deviled Eggs Recipe | Good. Food. Stories. Deviled eggs, like cupcakes, house-made charcuterie, and hard cider, are having their moment, and I can’t say I’m sorry to see this trend everywhere I eat. God knows I can’t resist one, whether it’s topped with candied bacon, filled with radishes and caviar, or just on its own as a good old throwback appetizer. 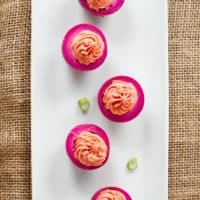 However, I don’t think that even somewhere as painfully hip as The Spotted Pig has ever thought to update its bar menu with one of the more colorful components of a well-dressed Pennsylvania buffet: the beet-pickled egg. Part of the Pennsylvania Dutch influence on the state’s potluck food traditions, the vibrantly gorgeous eggs have long been a popular PA bar snack, deli item, and complement to the Easter or Christmas ham. Bobbing in their ruby brine, the eggs take on a twangy, slightly sweet flavor that offsets the richness of the yolk and gives some much-needed punch to the typically bland egg white. Like Mallo Cups and city chicken, the eggs are something I grew up loving and was shocked to learn at a relatively late age that the rest of the world was relatively unaware of their charms. And while I’m happy to eat them as is, they can be folded into pretty much any recipe you already love that calls for hard-boiled eggs. For everyday eats, dice and mash the fuchsia orbs into a tangy egg salad with a few leaves of romaine on thick sourdough bread. Or slice and garnish your avocado toast, or serve as part of a Cobb salad or roasted chicken salad. 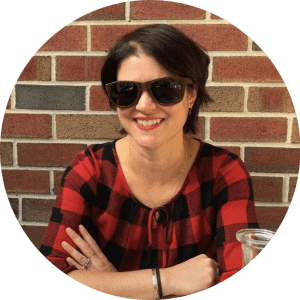 I’ve tweaked a throwback Gourmet recipe to gussy up the traditional deviled egg appetizer that you hipster hostesses are finding it so fun to serve these days. 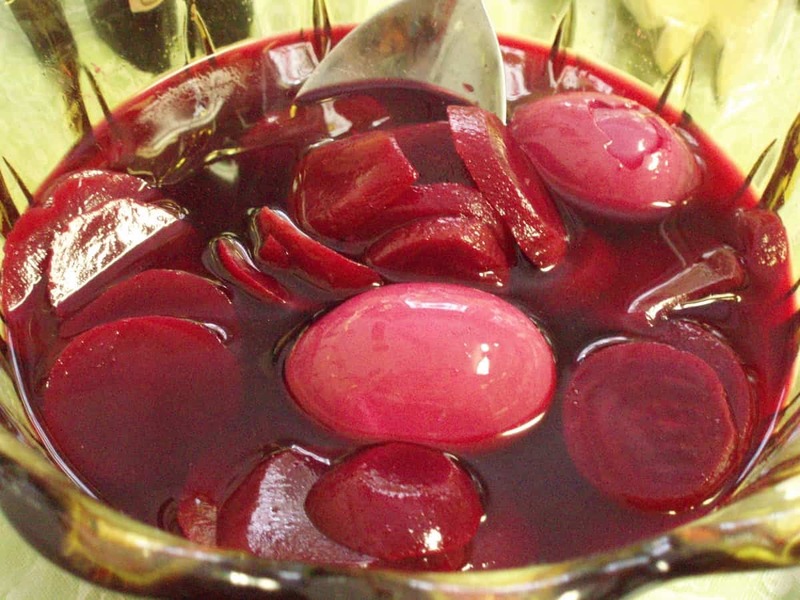 Beet-pickled eggs have a bright fuchsia exterior and a creamy sweetness from beet brine. Eat this Pennsylvania Dutch specialty plain or as deviled eggs. Bring the water, vinegar, sugar, and bay leaf to a simmer in a medium (2-quart) saucepan over medium heat. Add the beets and cover. Simmer for 20-30 minutes or until the beets are tender. Transfer to a large, heatproof container such as a quart-sized mason jar and cool for at least 15 minutes. Add the eggs to the beet brine and refrigerate for at least 2 days. The pink color will slowly penetrate the egg white for a uniformly brilliant color right up to the yolk. Slice the eggs in half horizontally. Slice a small piece off the end of each egg half so that it won't roll on the serving platter. Remove the yolks from each egg half and transfer to a medium bowl. Add the mayonnaise, mustard, scallion, salt, pepper, and hot sauce. Mash and mix thoroughly, making sure to pulverize as many clumps of egg yolk as possible. Spoon or pipe the egg yolk filling into each egg white half.